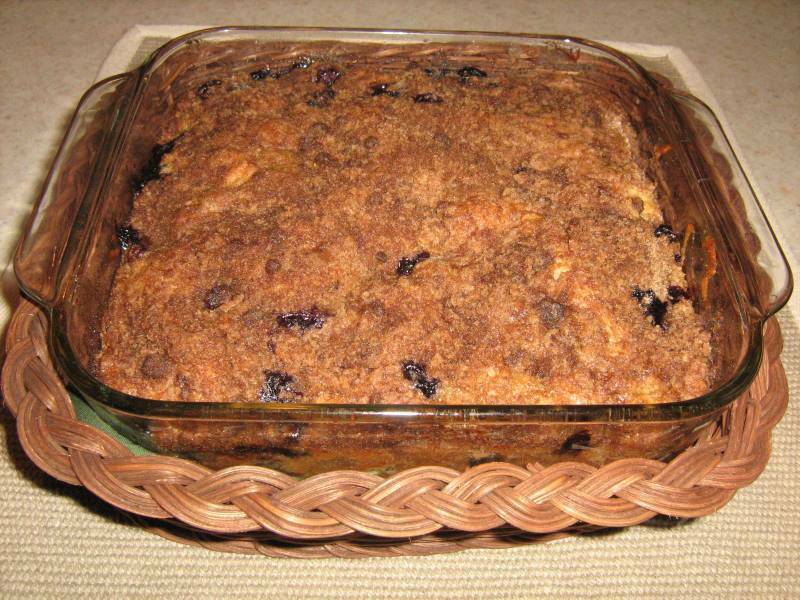 Delicious coffee cake loaded with blueberries and apples and topped with a brown sugar and cinnamon topping! 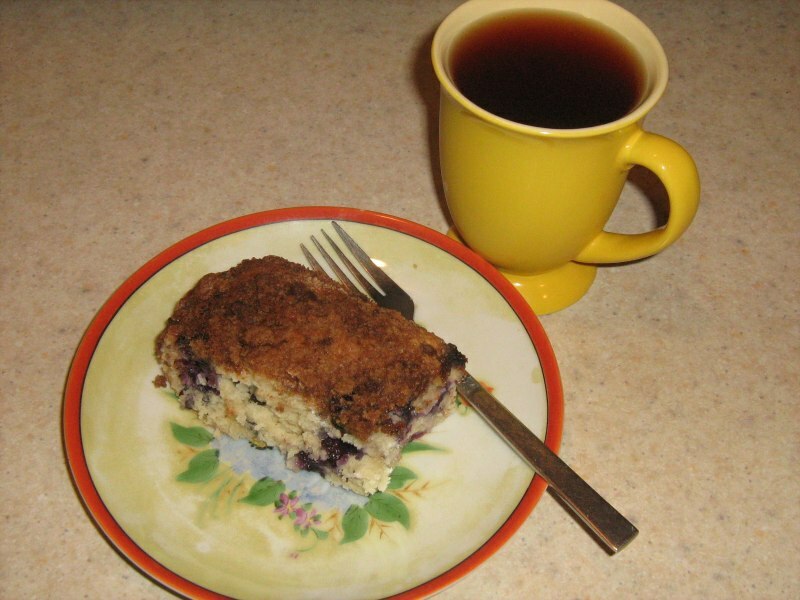 This scrumptious apple blueberry coffee cake is totally vegan but don't tell anyone! They'll never know. It is so rich and delicious that they'll be asking for more! We bet you'll be giving this recipe away to all your friends. Sometimes just a fresh cup of coffee or hot tea and a slice of coffee cake is all it takes to soothe and relax me. What about you? This coffee cake recipe is delicious. Why not give it a try this weekend? layer pan or an 8x8x2 inch square baking dish. vigorously for about 30 seconds. Spread in pan. the firm margarine. Mix until blended but crumbly. Best served warm. Makes about 9 to 12 servings.